Want to improve your coaching this year? This simple to follow guide gives coaches of any level some excellent tips to help you get better and deliver more to your players throughout the year. At its heart, The Coaching Manual is a coach education tool. We are unique in that we cover the what, how and why of session delivery. What - We have downloadable and printable plans for every video session on the site alongside animations of all our practices. How - We spotlight the coach every time he or she delivers a coaching point, because it helps our users understand not only what to say, but also how to say it and, when necessary, how to demonstrate the point. Why - All our videos are accompanied with on the spot interviews with our coaches, where we get them to talk about why they've set their practice up as they have and why they are coaching the topic in the first place. 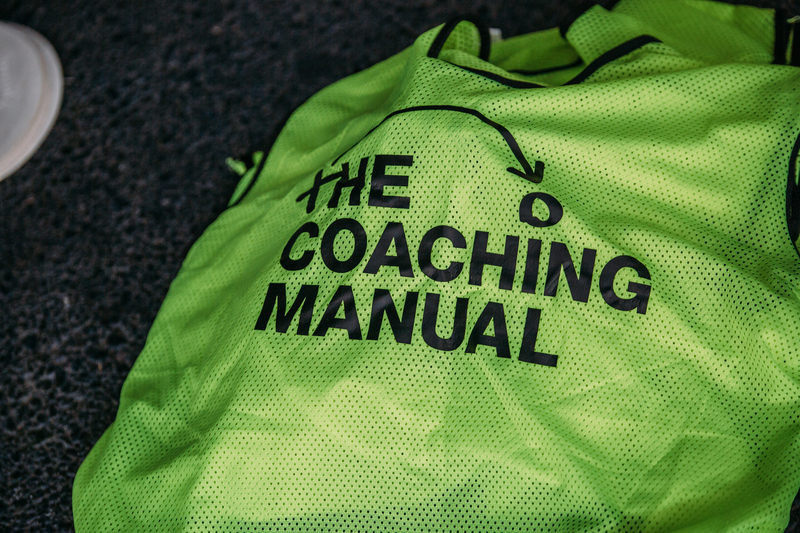 However, we've always aspired to more, which is why we've created this simple to follow guide on how using The Coaching Manual will make you (and your players) better. 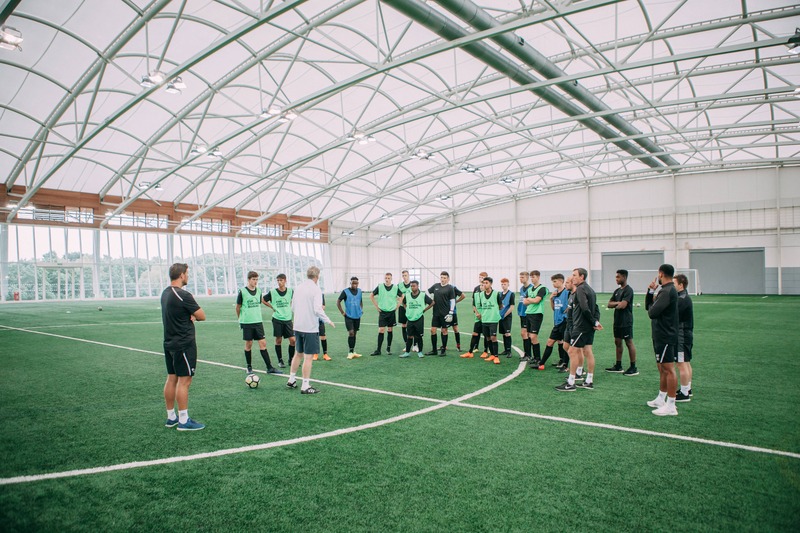 At the centre of the CPD element of every National Governing Body's coach education strategy is the attendance at at coach education events/seminars each year, where you get to see/listen to a top coach or coach educator in action. In addition to that, you may be one of the fortunate ones who can attend conventions or exhibitions where you can see expert coaches in the flesh. This happens because it's universally agreed that one of the best ways for coaches to learn, is to watch other coaches delivering sessions. This makes The Coaching Manual a no-brainer for any coach. Some CPD is mandatory, so there's not much avoiding that. However, attending events or going to open training sessions or trying to visit academies could cost thousands. Why not avoid all the expense and hassle and just watch videos on The Coaching Manual with the game and how to coach it already broken down. Whether you're a beginner or an experienced coach, the videos on The Coaching Manual can help remind you of things you've forgotten or teach you something entirely new. So make sure you put some time aside each week to learn from some of the best youth coaches in the game. The internet is a fantastic resource for coaches, you can find sessions on pretty much every topic at the click of a mouse. However, the downside to this is that there's not really any quality control when it comes to choosing content which will definitely help you. With The Coaching Manual, you don't have that problem. 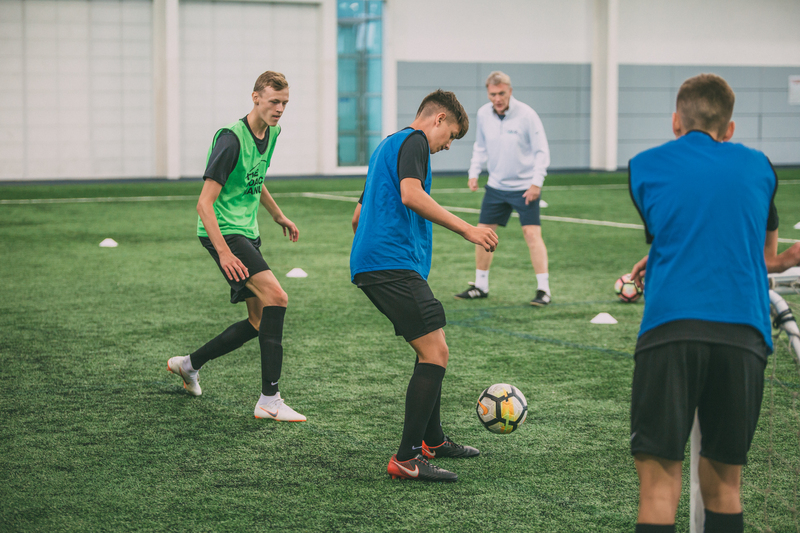 All of our video sessions are real sessions from a professional academy, so you can be super confident that they will work for your players. It doesn't stop there though. We've always said that subscribers to The Coaching Manual should use it as a launchpad for ideas rather than thinking that we are preaching the gospel. After all, one of the great things about football is that people can interpret how best to play it in countless ways. 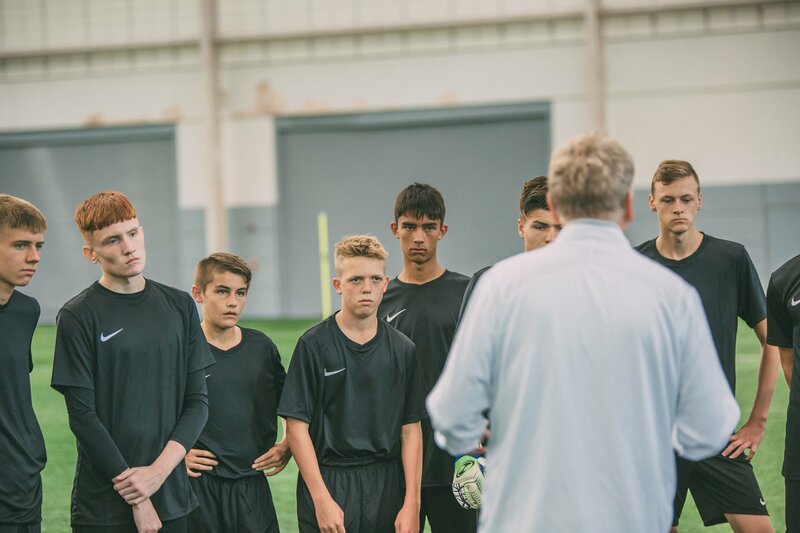 Most coaches have become pretty adept at using various technology solutions to communicate with players and their parents to notify them of training and match times/locations. Free apps like Whatsapp have changed the way we communicate. What about training content though? At The Coaching Manual, we've been evangelising about showing players individual or group training content for about 5 years. We're pioneers in sharing actual video with players in order to make training more effective when you have your group together. It might be that you have a busy job and don't have time to plan between arriving home from the office, wolfing down some dinner before changing into a training kit and driving to training. Alternatively, you just might not be experienced enough to plan sessions that you know are going to work for your players. Don't worry, there's no shame in either scenario, they are both incredibly common. As Football continues its rapid growth globally; more and more volunteers are finding themselves coaching the game to their children, despite not having a background in the game themself. It's a scenario which is common to the UK but seems to be very prevalent in countries where Football is not traditionally the national sport. The Coaching Manual can step in and help you learn the game. With hundreds of articles covering tactics, strategy, training methods, the principles of play, the laws of the game there is something to help every coach in every step along their journey. The Coaching Manual isn't just for beginner coaches. We also help thousands of coaches with a great amount of experience, including many who work in the professional game all over the world. Why? It's because we help to make their coaching lives much easier. 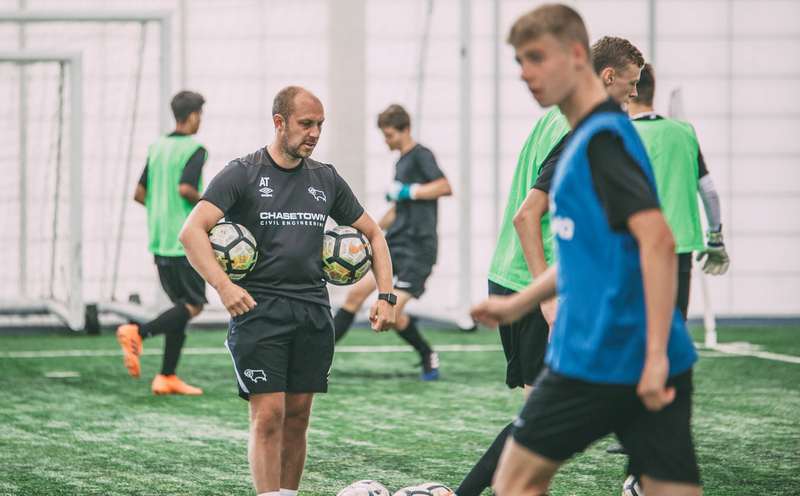 With complete video sessions put together by some of the leading coaches in world football, we guarantee that, whatever your level, there is something for you to learn on The Coaching Manual. How often do you get to go and watch pro coaches working in their own environment? Now very often we wager but, with The Coaching Manual, you can go inside an academy or training ground, every day! We also have interviews, podcasts and webinars which all of our users have complete access to so that there's always someone there to help you get better. At The Coaching Manual we're obsessive about helping players improve. It's why we all get into coaching right? With The Coaching Manual, you can help your players learn the techniques that are going to make them better without getting stuck in a rut of teaching the same things too often. The best way to do this is to create folders of skills that you want your players to learn and then share them each week or each month so that your players can practice away from the training ground. Admittedly, you're not coaching them in the strictest sense, but just inspiring that love of practice is worth its weight in gold to you and, more importantly, your players. Then, you've got a complete record of what you've taught and when. We never stop developing new tools and new content, it's why we're considered to be the best in the world at what we do. A subscription to The Coaching Manual is like having a digital coaching assistant in the palm of your hand. It's the best investment you'll ever make.